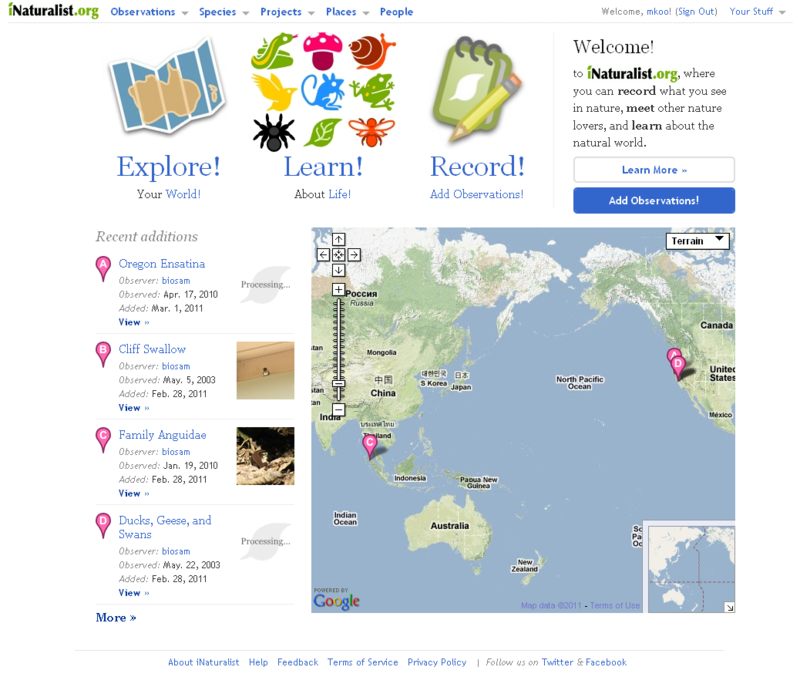 If you are not familiar with iNaturalist, go check it out! There is a lot of functionality here with a smooth interface that sets it apart from other citizen science websites. iNaturalist satisfies the naturalist in all of us and allows you to share and communicate with a growing community of observant nature lovers around the world. Recently an iphone app for iNaturalist has been released so you can make your observations on the go, and post your info when you are back in wi-fi or cellular range. A class at SFSU will start to use it to record their observations on their fieldtrips to the Angelo Reserve in northern California. The Places feature is a great way to start cataloging observations for specific protected area and building a way to inventory and monitor species. If you don’t see a checklist for your local park, you can easily start to build it yourself. The future of mobilized biodiversity data is here and will be exciting to see how this and other efforts to capitalize on collection data housed in natural history collections worldwide.